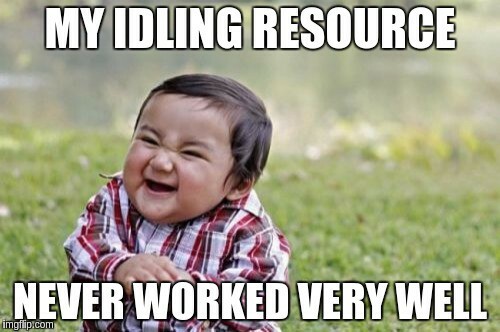 As you may know, using an IdlingResource is a way to tell Espresso to wait until your background threads are done before continuing testing. Espresso will pause until the IdlingResource says it’s idle. If you use a thread pool to execute background tasks (which I recommend), this IdlingResource will wrap it to monitor if it’s busy. It will work with mostly all background tasks as long as you’re using the thread pool to execute them. You don’t need to register and unregister it, that’s already taken care of by the rule. Simple, isn’t it? That’s it! Be aware that this last rule will only make Espresso wait during network calls. If you have any other non-UI and non-asyncTask code to be synced, Espresso might not wait for it. Check out the source code in Github and happy testing! And, if by any chance you’re interested in unit testing in Android, check this post!